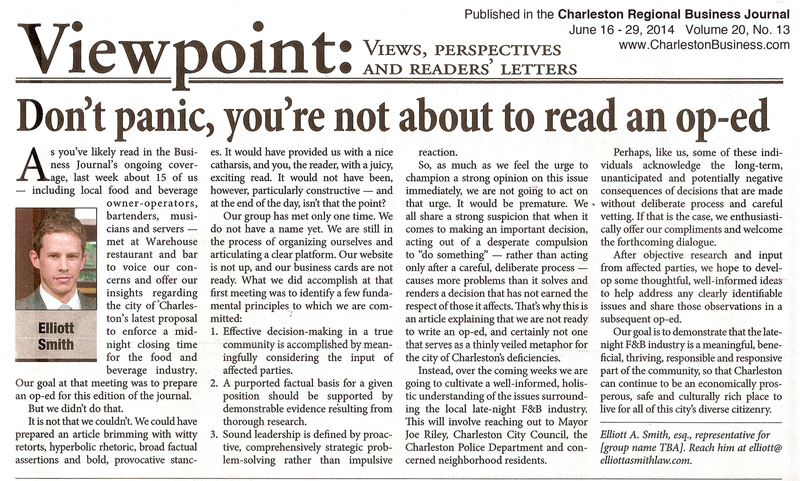 We develop projects that better connect local culture with local politics by introducing a more forward-thinking, creative perspective to Charleston’s policy discussions. With Charleston’s heavy (and not wholly unreasonable) focus on preserving its past through various well-heeled residents and organizations, BACE League was formed as an informal group of residents involved in areas that push the city forward (BACE – Business, Art, Civic Engagement). BACE was most active in 2014-2015, where a significant debate over nightlife policy and other related cultural issues coincided with the election of our first new mayor in 40 years. BACE held voter registration drives, penned op-eds, attended public meetings, and even held the first-ever F&B mayoral forum, with all leading candidates in attendence to discuss everything from bars to transportation to affordable workforce housing. Now, BACE has continued as a tight-knit, project-driven crew that continues to focus on inventive ways to connect busy young locals with Charleston's policy decisions. We're currently preparing for a relaunch in 2018 and introducing a new member to the team. Stay tuned.